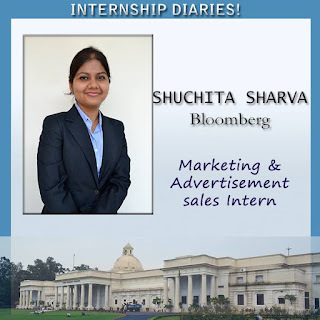 During the scheduled summer break from college I interned for sales department of Bloomberg TV India which is a business news channel and believes in delivering economy driven news. I was thrilled to work in a news channel which delivers the first fastest factual news and has a profound impact on decision making of CXOs/CMOs/CFOs community. I assisted sales team in their daily operations by reaching out to new clients, fixing up meetings and preparing sales pitches. 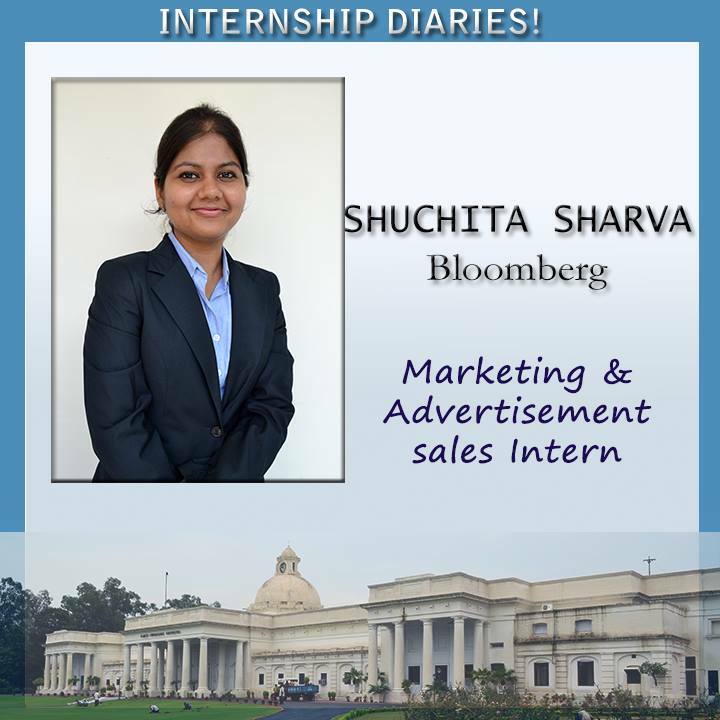 My role had given me an immense opportunity to learn nuances of media industry, which was quite new and different to me as I was a software developer before coming to DoMS IIT Roorkee for MBA and only knew about an IT industry. Certainly my role of “Marketing and advertising sales” in a media industry has added diversity to my profile which I wanted. I gained tremendous insights about roles and responsibilities of a sales team, that is how sales team gets assistance from marketing wing for clients details, how they tap them by taking appointments, how sales team has to prepare the proposals. It’s easier said than done. My key takeaways are that to work in a sales department a person should be extremely optimistic as a salesperson often has to face rejections, he should be equipped with good communication and interpersonal skills, he should have good telephone manners, he should know how to make a long lasting and symbiotic relationship while branding and selling proposals, and last but mot the least the technical know-how of the product. Moreover the media industry which is extremely enticing to the people is known by it’s on the move characteristic. There is always something astonishing taking place in every hour of the day. On one side of the beautiful office, torch taker editorial team sits in one large transparent cubicle always busy in creating and editing content and on the other side in the office studio, live shows’ shooting are being recorded. This organization in media industry is particularly known for its omnipotent transparency in functioning and therefore employees always sit in transparent cubicles. Not only TV, I also got an opportunity to observe functioning of Big FM radio and thus this varied experience has given me immense knowledge about every industry segment of media. Definitely an unparalleled internship experience which has given me a lot of insights and has helped me to grow more professionally.